Snyder’s Mini Pretzels 1-1/2 oz. A tasty snack wherever you go. Enjoy the "Olde Tyme," great taste of traditional Pennsylvania Dutch pretzels. Always fat free, they're a great crunchy, salty alternative to chips. 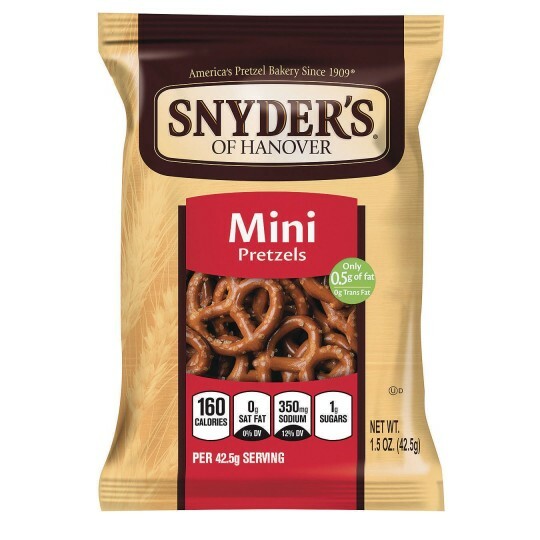 Grab a bag of this premium, satisfying snack at work, at home or at play. 1-1/2 oz. bags.